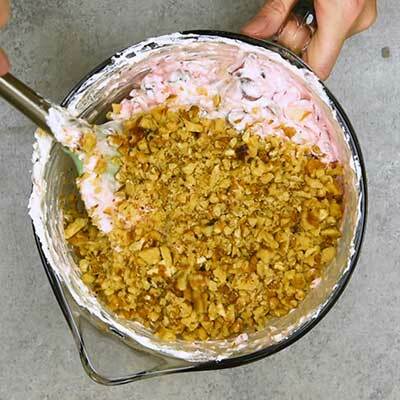 This cranberry fluff salad is a cool-weather side dish or dessert that combines tart cranberries, sweet pineapple, and fresh apples with soft cream and walnuts. There’s a lot to love about the cold weather months, but one of my favorites is the food. 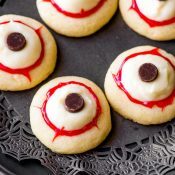 And I don’t mean the grand dinners and the desserts; those are nice, of course, but what I’m talking about seasonal flavors that you’ll only find late (or early!) in the year. 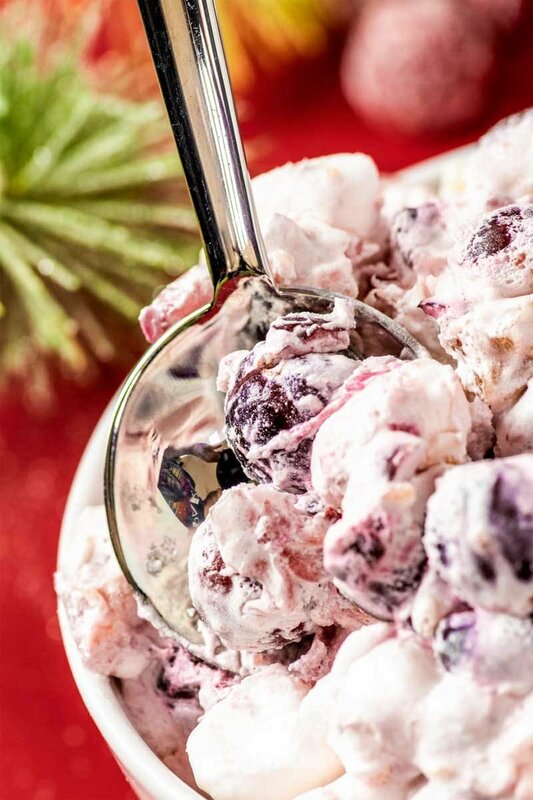 Cranberries are one of those flavors, and one of my absolute favorite ways to have them is in cranberry fluff. 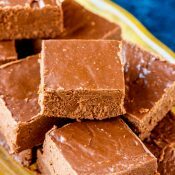 Between the sweet cream, other seasonal fruit, and a little crunch from some walnuts, it’s one of those dishes that can walk the line of a side dish to your traditional dinner or an easy dessert when all the celebrating is said and done. 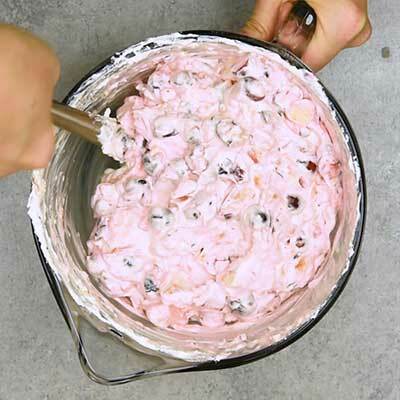 Can you make cranberry fluff salad in advance? 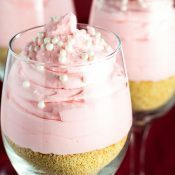 In fact, this recipe is supposed to be chilled at least one hour before serving (to help soften the tang of the cranberries) and adding a little more time to that is no problem. 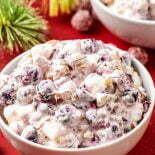 Once prepared, cranberry salad can be stored in the refrigerator for up to two to three days. How long can you leave out cranberry salad? 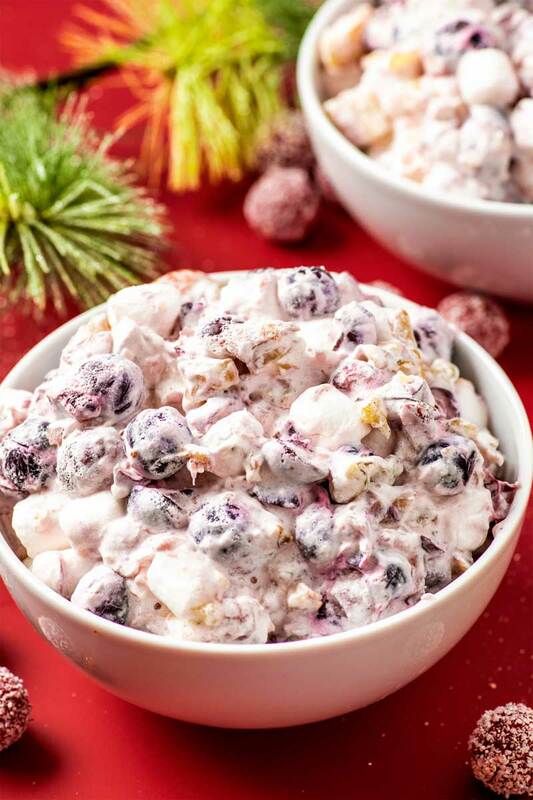 If you’re serving fluff salad at a potluck or buffet-style (typical during the holidays) you should keep track of how long it sits out at room temperature. For most foods, the general rule of thumb is that a perishable item should not be in the “danger zone” for more than two hours. And by “danger zone”, this is usually at or just above room temperature. I recommend serving this salad chilled, so this should give you more time (about one hour) before it reaches room temperature. 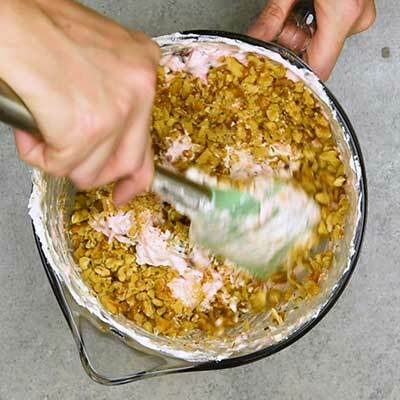 As your event carries on, you can move the fluff salad back to the refrigerator once it gets past the two-hour mark. If your guests still want more salad, let it chill for at least 30 minutes before bringing it back out again. 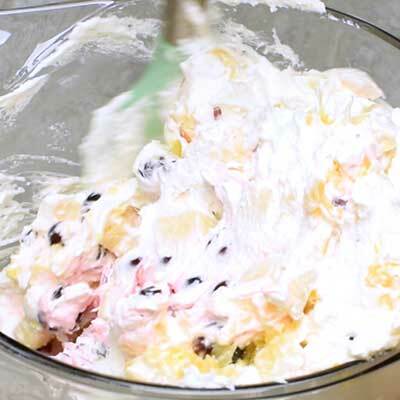 Can you freeze fluff salad? 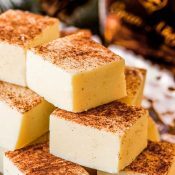 I haven’t tried this myself, but given the ingredients, it “should” freeze well. 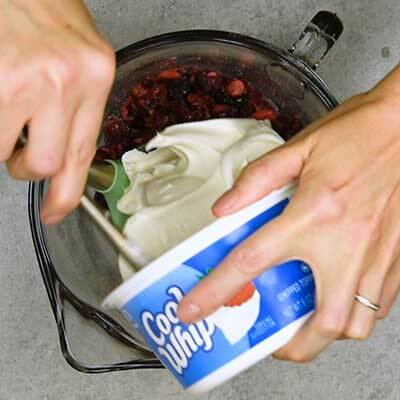 Cool whip is sold frozen, so returning it to a frozen state would be fine. 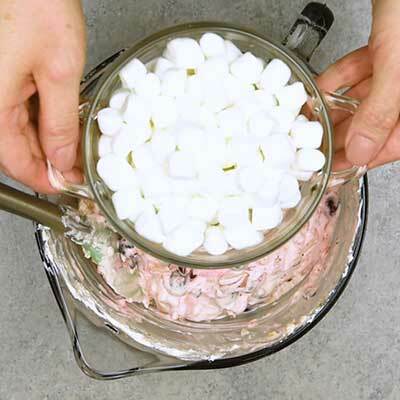 Pudding, marshmallows, pineapple, and shredded coconut can all be frozen individually with little to no issues. The only thing I’m not sure about is how all of these ingredients work together once frozen. As I said, they “should” be okay, but I haven’t tried it myself to know for certain. 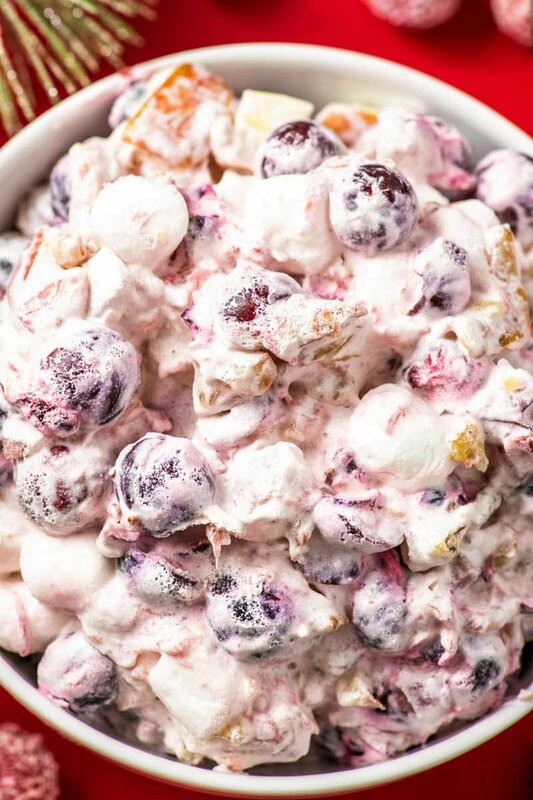 If you have experience freezing fluff salad, I’d love to hear about it in the comments! 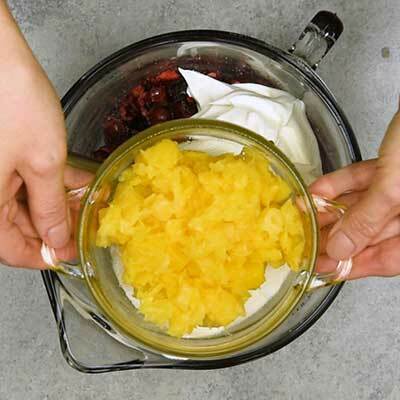 Step 1 – Add cranberries to a food processor and pulse a few times. The goal is to crush and chop most of the cranberries while still leaving a few whole berries, but feel free to crush them as much (or as little) as you’d like. 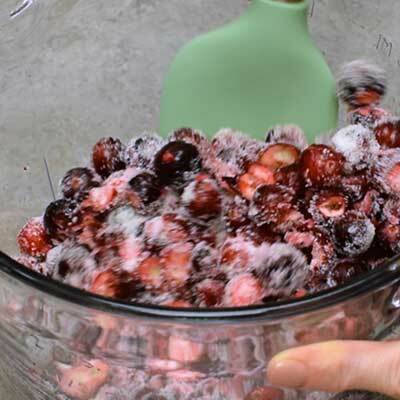 Step 2 – Transfer cranberries to a large bowl, then pour the sugar on top. 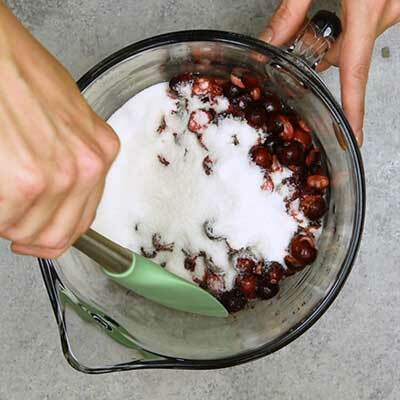 Use a spatula to gently toss and cranberries in the sugar. 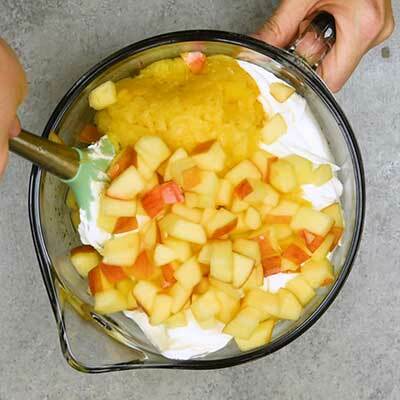 Step 3 – Next, add the Cool Whip, crushed pineapple, and chopped apples to the bowl with the cranberries, then gently mix them together until the pineapple is even throughout and the cool whip turns a light pink color. 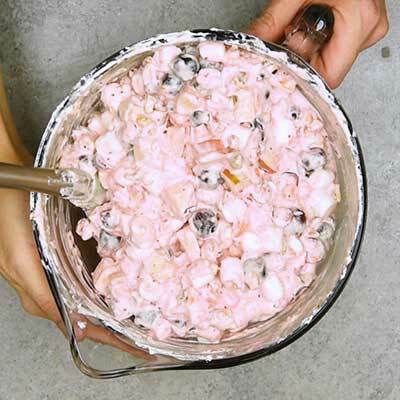 Step 4 – Finish by gently folding in the chopped walnuts and mini marshmallows. Step 5 – Cover bowl and chill. 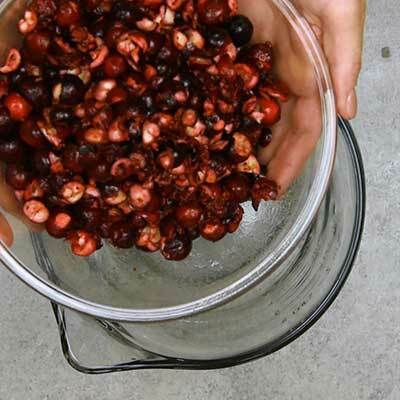 In a food processor, pulse cranberries a few times until they're chopped to your liking. Ideally there should be a mix of chopped, crushed, and a few whole cranberries. 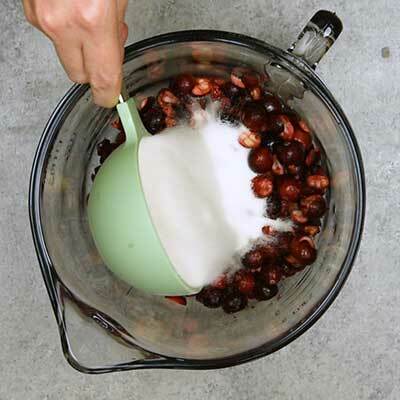 Transfer cranberries to a large mixing bowl. 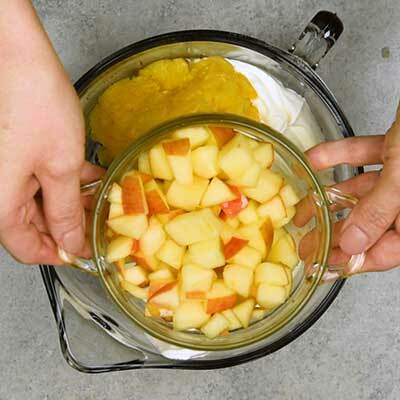 Add sugar, then mix thoroughly. 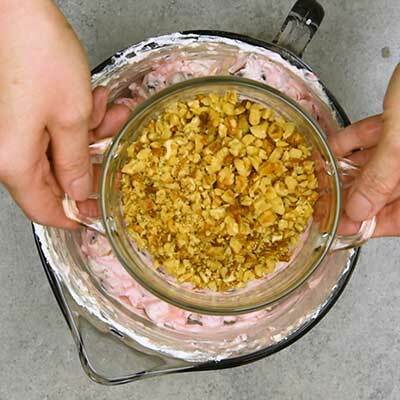 Add cool whip, pineapple, and walnuts to bowl, then mix thoroughly. 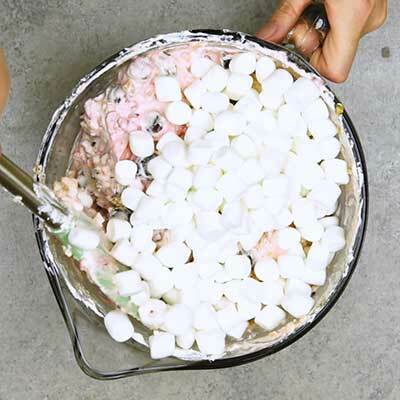 Add mini marshmallows to bowl, then use a spatula to gently fold them in with the rest of the ingredients. Cover bowl with plastic wrap and chill in the refrigerator for 1 hour.